I'm in LOVE with Expecto Patronum! I had seen this polish around for a while and finally decided to order it. 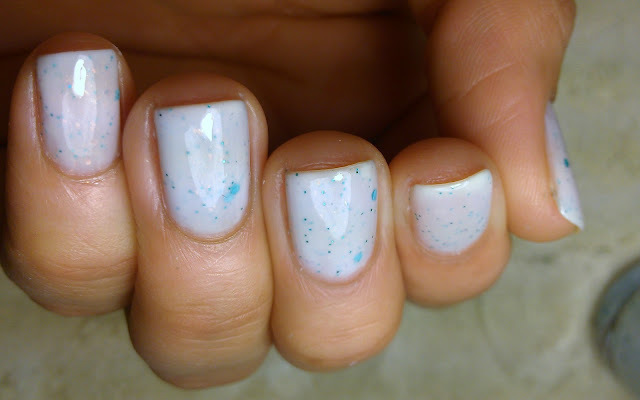 It a sheer, milky white polish with micro and large hex teal glitter and flakies. The formula is AMAZING... you can probably layer this over white, but I think its better on its own. I did 3 coats and 1 top coat. & now for FUN, my assistant has not been in the picture taking mood lately :( maybe he is taking a break! But now he wants to get in the pictures LOL ... enjoy!!! Dollish Polish is available at http://www.etsy.com/shop/DollishPolish or at http://www.overallbeauty.com/. I love the subtle glitter in it. Looks so pretty! i can't handle it! i just ordered this one too this weekend.. I wonder how long it'll be til I get it in my hannndss! :) looks great on you too.. 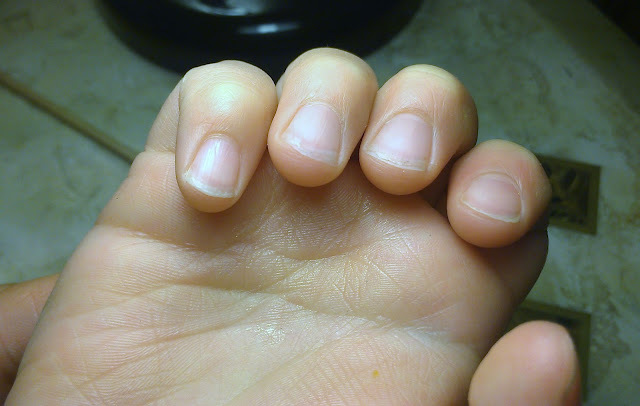 I dont think anything looks like crap on your nails, lol. I'm loving soft colors like this these days. Really pretty! this soft colour on you is perfection! The subtle glitter in it is gorgeous. This is soooo beautiful, love it! this looks perfect on you bish! i love it!! Looks so gorgeous and squishy! I looove. I love this!!! It's really a pretty polish. Awww... love your assistant's hands ;0). Soooo pretty! I want this!! Yay so glad you finally got this color!! I have it and just love it! Nice! 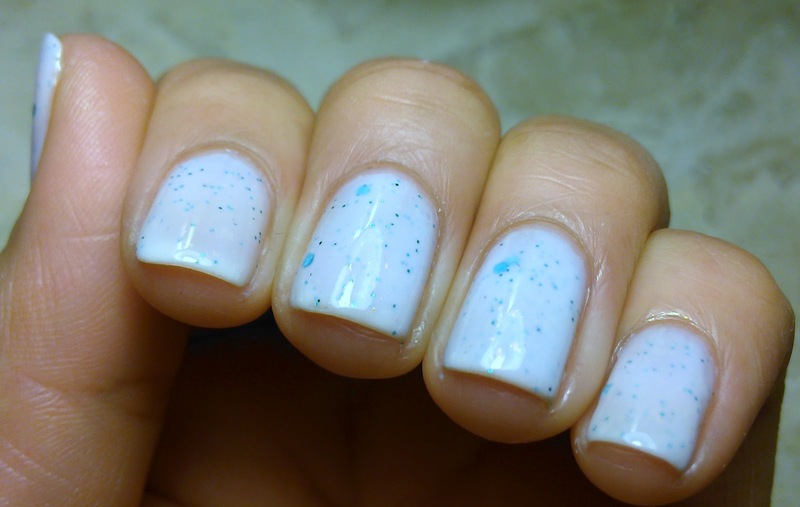 I dont think I could pull this color off, it would look like white out on me! This reminds me of some kinds of mints that you get at restaurants, lol. But in a good way! I really like it. 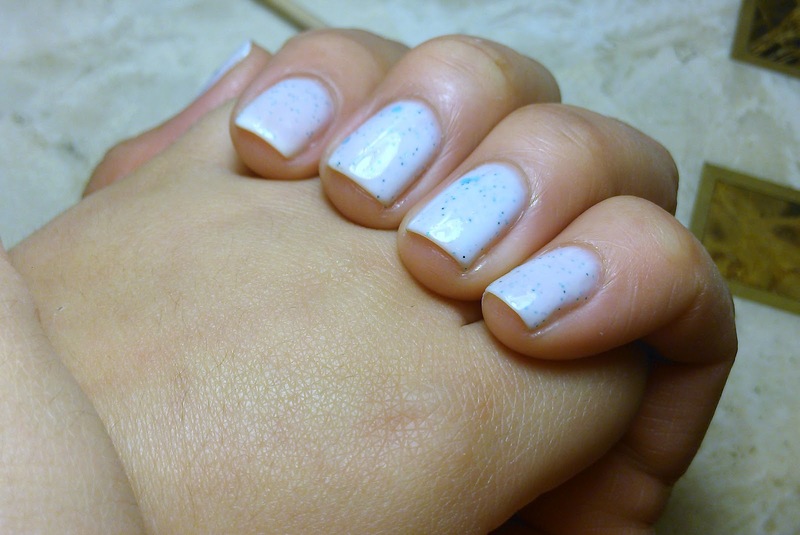 I'm loving this one, it's really delicate and yet glittery!! 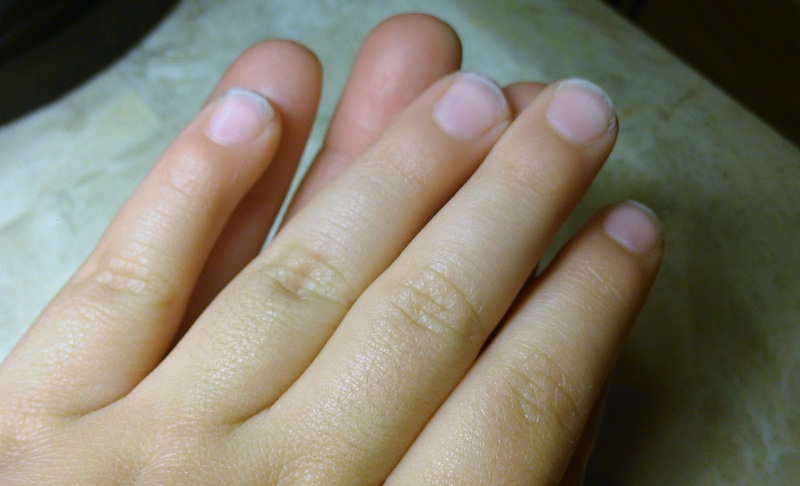 That is a truly unique polish! Your pictures with your assistant are always fabulous! This is so delicate and beautiful. You make me want it. Pretty polish! I love this color! It's so lovely. Aw hehe. It's so cute when you have your little assistant featured! OMG This is so amazing!!!! Your assistant probably needs time to "find himself" as an artist, LOL. Great polish and swatches!